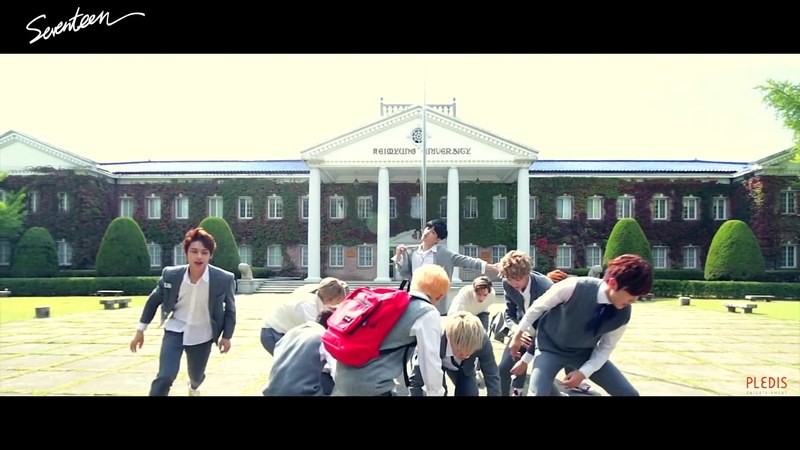 One fun thing about Seventeen Kpop group is their part switch videos, such as the Mansae part switch video. It’s like a music video, but with tons of easter eggs for fans and lots of fun. Everyone does each other’s parts, and for those who know the songs very well, it’s hilarious! Mansae is a song from Seventeen’s first album Love and Letter. 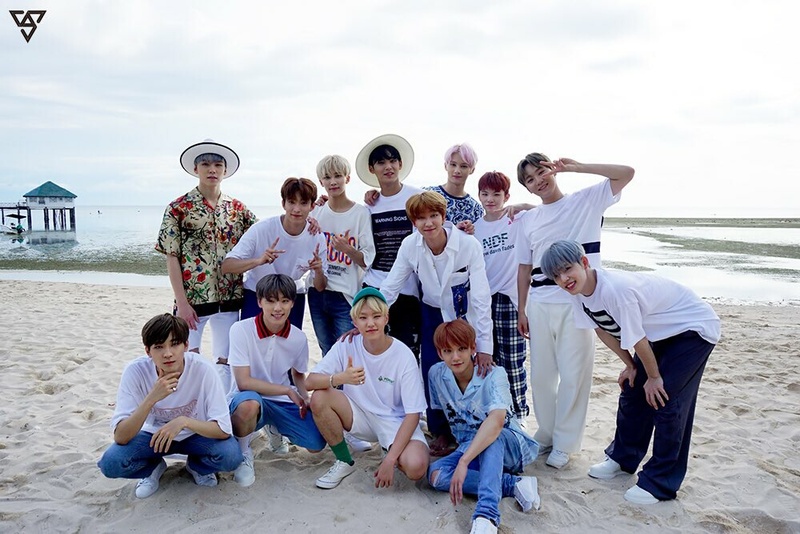 Since their beginnings, though, Seventeen has had great success. They’ve started to reach international fame this year, with a Japanese debut and worldwide interest in the song “Thanks” from Director’s Cut. But of course, on this blog we’re all about the bags. So you can imagine we were excited to see not just one but two JPNY bags in the Mansae part switch video! You can see two JPNY bags in this shot, the grey messenger bag at front and a red Manhattan in the background! 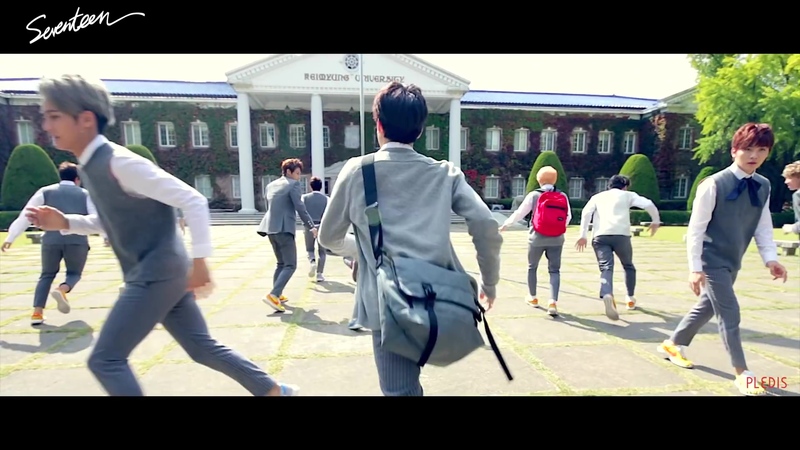 As Keimyoung university forms the stage for the Minsae part switch video, the boys went for all school uniforms. That’s probably also why JPNY makes an appearance. It’s a top choice of school bags and backpacks. As you can see from the screenshot or the JPNY website, the brand has an urban look. JPNY definitely markets to students, as the bags are particularly durable and functional. But students or not, we can imagine that the boys of Seventeen will get a lot of use out of these bags long after Minsae! The Minsae part switch video is just a lot of playing and having fun, as you can see. The red JPNY backpack really stands out – especially with all those grey uniforms! We really enjoyed the Minsae video for all these reasons. It’s always fun to see our bags getting some attention – even if we’re pretty sure nobody’s watching for the bags! Thank you Seventeen! Share the post "Seventeen’s Mansae Part Switch Video Features JPNY Bags"
Posted in CELEBRITY'S PICK and tagged jpny, Jpny backpacks, jpny school backpacks, korean celebrity fashion, kpop style, manhattan backpack, minsae part switch video, seventeen kpop, student backpacks. Bookmark the permalink.